When I've not been living it up in Texas, I've been co-writing a book with David Wilcox, Amy Sample-Ward and Cass Business School on how to use web 2.0 and digital technologies for social projects. It's going to be called Social by Social: a practical guide to using new technologies to deliver social impact and it should be published and distributed by NESTA next month. The centrepiece of the book is a set of fundamental principles to follow to help make a social technology project successful, and I'd like to share them with you now and hopefully get your feedback before publication. A set of principles and guidelines which we believe underpin the most successful ‘social by social’ projects. People want control. If you give them tools for taking more control of their lives, they will pay you back in attention, support and even hard cash. Empowerment is unconditional. Telling people what they can and can’t do with your platform is like an electricity company restricting what its power can be used for. People make technology work. Think about mindset, language and skills before you think about tools, features and screen designs. Know your limits. Technology can solve information problems, organise communities and publish behaviours, but they can’t deliver food or care for the sick. You can't learn to fly by watching the pilot. If you want to understand new technologies, start using them. Dive in. Start at the top. Get the boss blogging or talking on YouTube. Don’t jump for the tool. Be clear on who your target audience are and what you will do for them. Choosing technology is the last thing you should do. Start small. It’s always better to build too little than too much. Beware of specifying costly systems until you are absolutely familiar with the tools and know how people would use them. Planning ahead is hard. Find cheap, easy ways to try your ideas out with real people in real situations before committing lots of resources. Expect the unexpected. Be prepared to develop tactically, evolving as you go, and learn to maximise possibilities. Give up on the illusion of control. In a networked world, organisations can no longer control what people think or say about their products and services. If you’re worried, get involved. Sunlight is the best disinfectant. The more you open things up, the less risk there is of damage to your reputation. And restricting access can severely reduce usage and innovation. Keep it messy. Design to support conversations, relationships, stories - not to organise documents. If everything’s neat and tidy, it’s because no-one’s there. In user-centred design, everyone is right. Evolve any tools and systems with the people who will use them, and respect their complaints. Bring them in and let them help you. Never assume, always ask. You can’t know what your community wants from you without asking and they are waiting for you to ask. Be specific, define the issue, problem or idea, and let the answers pour in. but be transparent about your next moves and highlight the answers that informed your next steps. Design for real people. Tailor your offering to the real skills and characteristics of your users, not how you’d like them to be. Keep it simple. Every time you add a feature to your toolset, you make the existing features harder to use. Don’t centralise, aggregate. Do you really need data centralisation? Well do you? Use lots of different, disconnected tools and then pull the content together into a central location. Be a pirate. Don’t make things yourself; make use of what others have already shared. Empty rooms are easier to redecorate. Be fast and loose with evolving your platform in the early stages, but be cautious of changing things once people start using them. Build it and they may well not come. Build relationships and they probably will. The world is a noisy place. Getting people’s attention means offering them something valuable. Go where people are. Experienced users have plenty of existing places already, and newcomers are difficult to recruit. Go to see them and say hello. Learn to listen before you start talking. Good conversations require good listeners more than good talkers. Learn how to say things that people want to hear. Be consistent. Whatever you say in public, remember you are talking to everyone, all the time, so stay true to your principles. You can’t force people to volunteer. Contributing content and spreading the word are voluntary activities, so learn how to create good invitations and actionable opportunities. Respect how people choose to communicate. Some will write, others take pictures or make movies. Most people will just listen and view, and maybe comment. Enthusiasts are more important than experts. Attitude beats ability when tools are cheap and easy. Be realistic about who will create content. It's about the same proportion as put their hands up at question time. Put your energy where their energy is. Support the early adopters rather than chasing the sceptics, and they will become your evangelists. All energy is good energy. If people are taking the time to criticise you, they are engaged. Don’t waste that. Throw a good party. Make it fun and sociable as well as worthwhile to get more commitment. Be a good host. Make people comfortable and then get out of the way. Don’t forget the tables and chairs. If you want people to communicate or collaborate online, bring them together face-to-face too. Keep your powder dry. Set aside as much money for design, copy and user testing, and for marketing and community engagement, as you do for software and hardware. A marathon, not a sprint. Launching the service is just the beginning; the hard work starts once you have something for people to engage with. Content is king. Providing great content, whether it’s resources, information, connections or conversations, means new users will find you and others will stick with you. Give people the means to share this content too, freely and openly. Eat your own dogfood. If you aren't using your own services, why would anyone else? And you can’t influence the community if you aren’t in it. Your users own the platform. If they feel own it, they will trust it, help sustain it, and find ways to use and improve the tools; if they aren't interested, no amount of pushing will help. Let people solve their own problems. As the amount of work grows, so does the number of workers. Someone has to pay. Although many online tools are free, everything has costs of time if not money. If possible, make sure the money comes from the core purpose of the project. Don’t confuse money with value. Look at the other assets you have in your community, like skills, volunteers and goodwill, and put them to use in sustaining it. No-one knows anything. The only thing worth watching is what your users are actually doing. Failure is useful. If you want to know what works, look at what didn't. Fail often, fail usefully. Say thank you in public. People don’t need to have something hand-written on headed paper to feel recognized. Use your tools to acknowledge the people who helped make them in a visible way. These propositions are a starting point for a new conversation about using technology to improve the world we live in. So, would you sign up to them? We may be wrong. And that’s fine. Let us know your thoughts, share them with other people you think may be interested, and we'll be putting them out more widely for discussion, additions and edits once we've figured out the right format. You can also add your links, articles and comments on the School of Everything Scrapbook for Social by Social too. And stay tuned for announcements on the book launch, I'll keep you posted here. Thought it worth reblogging this from Mindapples.org. Craig at the O'Reilly GMT blog has very kindly posted a video interview with me explaining the Mindapples project and talking a bit about how far we've got. He caught me on the hop a bit: no time to do my hair, although I did manage to dress up a bit. Here's the video from YouTube below. Please do reblog it, Twitter it and send it round to friends and associates, and help us get a bit more attention. On tuesday night I heard Clay Shirky talk at LSE, courtesy of the lovely Amy from Netsquared. I've been busy writing a handbook for NESTA with Amy on using new technologies for social projects (on which more later), and I've been using Clay's ideas a lot. He's a great speaker and had some fascinating points to make, but I did find some of it a bit frustrating. Here are a few of my personal highlights, and questions. Clay's main thesis in his book Here Comes Everybody is that collective action just got easier. His first example was the student campaign against HSBC's overdraft changes last year, which used Facebook to force HSBC to reverse their decision. The bit that stuck out for me was that the students posted instructions on how to transfer your overdraft to Barclays, giving everyone a way to take action rather than just talk. The model Clay described was basically that "once one person gets something right", if they take the trouble to document it, then everyone can get it right too. It's very close to this idea of behavioural publishing that I was peddling last year. The difference between old media and new though is that whist the old forms simply offer information ("I thought you might like to know"), the new way adds an invitation to act: "Here's something you can do about it. Now join us." He also made lots of good points about structures and agility, parallel development, the reputational risks of rallying a crowd to support you ("The US public understand that just because your name is on it, doesn't mean you're responsible for it."). And he had a great word of warning for organisations who aren't adapting quickly enough: "If you go too slow, the smart people split and go where they can get more done." But I was most interested in what he said about My.BarackObama. He argued that the site was deliberately developed to give people "an unsatisfying online experience", so that they would still be motivated to take action in the real world. Some campaign sites, Facebook Groups and petitions give people the feeling of satisfaction at having taken action on a cause, when in fact all they have done is joined a group or talked about doing something. The notion of designing online tools that deliberately leave people wanting more was really fascinating, and gave me a lot to think about in relation to School of Everything. The point where I got a bit frustrated though was that he seemed to be distancing himself from the idea of citizen self-organisation as the future of democratic government. His main argument centred around the Change.gov poll after Obama's election. The US public were invited to propose and vote on the top issues they wanted the Obama-Biden administration to tackle - and promptly voted legalising medical marijuana the number one issue. It's clearly not the most pressing issue facing the US right now, and doesn't do the crowd any credit, but I was disappointed that Clay then drew the conclusion from this that if we allow the people to make decisions "you get that," and consquently we need "checks and balances" to protect us against mob rule. Doubtless there's more to it in Clay's mind than he presented here, but there seemed to be a crucial flaw in this argument. 'The people' weren't being asked to make any decisions themselves: they were simply being offered a way to get attention. It is unfair to claim that people weren't taking responsibility for the power given them, because fundamentally, they hadn't been given any power, just a channel to talk those in power. And they knew that those in power were free to ignore everything they said. If there had been an absolute guarantee from the administration that they would enact whatever the crowd voted number one by the end of the project, the debate - and the people in the debate - would have been different. Clay presented a clear and compelling case that our media has become more democratic, but I heard very little evidence that governance has actually changed. It is easier than ever for the public to mobilise and get attention for a cause they believe is important, and so hold the government to account; but the government is still in charge, making and implementing the decisions. The media has been bringing the government to account for decades, from Watergate to Sarah's Law; our media may be social now, but the relationship between the media and those who govern has remained relatively unchanged. And that's not necessarily a problem. Democracy in its worst forms can easily become the dictatorship of the interested. Isn't it appropriate to elect representatives to take decisions for us, provided we have the power to call them to account on the issues we consider truly important? I'm also increasingly frustrated by the strange tendency for the web 2.0 debate to swing between the naive utopianism of trusting the people to run their own world perfectly, and the reactionary sense that people are dumb and need to be protected from their own stupidity. The truth is far more pragmatic: people screw up 90% of everything - and we need to trust them anyway. Sure, we may vote for the wrong things, get distracted by shiny objects and even do dumb, evil things from time to time. But unless we are trusted to make mistakes we will never learn. And you can't make judgements about the capacity of the people to rule themselves based on unrelated experiments in self-expression and 'lobbying 2.0'. If you want to know how people behave in power, look at how we run our organisations, our communities, our families, our relationships. If I wanted to conduct experiments in web 2.0 and popular self-governance, I wouldn't start with a nation: I'd look at the democratic organisational models developed by Ricardo Semler and others, add the technology to systems that already work offline, and work up from small structures to larger decisions. It's very tempting to start marching into Whitehall and Washington - but we need to learn how to crawl first. Here's the presentation I gave at the NCVO Information Management Conference on Monday - now with added Zappa. Read more at Social Innovation Camp, who are celebrating over 100 ideas for their second event next month - woo-hoo! Mindapples is coming along nicely (hence my silence here - sorry, too many blogs...), and whilst explaining the project to people I keep finding myself pushing the concept of 'behavioural publishing'. So I thought I'd better think out loud and try to explain what I mean. Mindapples asks a question that people want to know the answer to, and gives them a platform to share their answers in public. 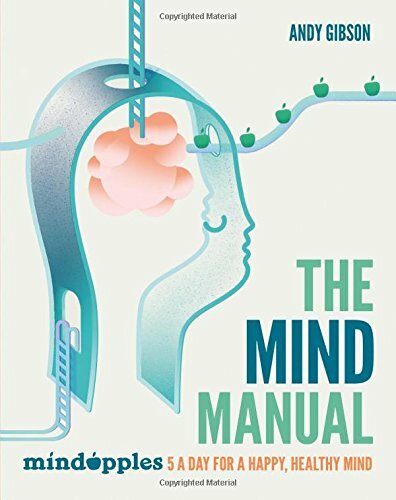 The idea is to encourage everyone to take more care of their minds, simply by publishing what people are already doing. The site doesn't help you 'do' anything in a practical sense. All it does (or at least will do once we've built a better website) is publish the behaviours that we want to see more of. And I think that, simply by publishing these behaviours, we can create more of them. As well as helping us practically to perform tasks, the web can also give us the inspiration to do things that we didn't previously feel were possible. For example, School of Everything provides a set of tools to help people organise their learning and find new students near them. But as my friend Stowe says, "the presence of the tool implies a permission to behave in a certain way." By building a website that helps everyone become a teacher, we want to show everyone that they have something to teach. Or to use another example, Flickr doesn't help you take photos, but by publishing the photos of millions of photographers it gives us all permission to be a photographer too. So if there is a behaviour you want to encourage - be that social care, photography, knitting or democracy - rather than leaping straight into building complex tools to help people do it, why not find where it's happening already and share it with the world? If you can rally the people together who want it to happen and tell their stories, maybe they'll build the tools for you. School of Everything won a UK Catalyst Award (from the Prime Minister no less) last month, which was particularly nice following so hot on the heels of our New Statesman New Media Award a few weeks ago. Aside from obviously being very flattered, what struck me about this one though was the curious focus on individuals compared to other social innovation awards. They seemed very keen to attribute each winning idea to one person and praise these special individuals for their unique creativity. There seemed to be little understanding of the teamwork that actually underpins genuine innovation and social enterprise. We even had to ask them to put the names of all five co-founders on their awards website. The Times Business section just featured a nice interview with me about the idea behind School of Everything, and re-telling the story to them reminded me of just what a collaborative process it has been to get this idea off the ground. If we'd been driven by one person's vision, I don't think we could have done it, at least not in the way we have. School of Everything is the product like best e cigarette but of all our experiences of education, the writings and experiments of various pioneers in the sixties and seventies, the advice of our friends and colleagues, the activities and desires of our users. Ideas don't just pop out of thin air, they emerge from conversations, collaboration, stimulation. It's wonderful that the Government are starting to recognise the contribution of social innovation and web 2.0 to our communities and social services. But maybe they need to adjust their perceptions about how change actually happens, or else they risk undermining the very thing they seek to celebrate. We won a New Statesman New Media Award, in the Inform and Educate category, which is very nice indeed thankyouverymuch. Big thanks to the judges, the New Statesman and everyone who nominated us, cheered us on and generally spread the love. Next stop, the world! Bwahahahahahahaha! Ahem. Yes. What's the 5-a-day for mental health? Things are starting to kick-off on the Mindapples project. Take the Mindapples test today and help us find the most popular things people do to keep themselves mentally healthy. We've gone for the low-tech option (thanks to Tessy for the inspiration) and used Surveymonkey to create a quick survey to find out people's five-a-days. We'll publish the results on the new Mindapples blog, www.mindapples.org, once we've had a few responses, and then we'll use the popularity of the survey to attract investment to launch it as a proper campaign. Look mum, I'm in the Guardian! Lovely piece about School of Everything in today's Guardian. I particularly like the "Explain your project to my mum" question, which should really be mandatory on all project specifications. (Not quite so sure about my hair in the photo though...) And while we're at it, a nice piece about us from Libby Davy on Authentic Blogging too, and some kind words from my friend Tessy. Feeling incredibly inspired now. We must do it again! Nice piece about my friends at Trampoline Systems in CRM Magazine this month, also featuring a nice cheesy quote from yours truly about the future of CRM software. You can read the full piece here, and I also highly recommend Trampoline's Enron Explorer - great for fans of network visualisation software and/or massive industrial fraud. Long day at SI Camp (particularly long after the opening party last night), but there's some really fascinating stuff being developed here. Lots of great people have turned out to help, and the buzz is fantastic here. I've been dividing my time between Stuffshare, Barcode Wikipedia and Personal Development Reports, working with John Grant and others to help the teams define their propositions, focus their efforts and create compelling ways of explaining what they do. The potential for all three are huge, particularly the barcode guys who have such a simple idea but the potential to completely transform the consumer marketplace. I'm also having a lot of fun thinking up new names for them all. On the way we've been creating lots of entertaining new buzzwords for what social technology does. I'm enjoying David Wilcox's new "social reporter" meme, and the cheekiness of attempting "market transformation", but my favourite so far is "behavioural publishing" - for when it's not about enabling new behaviours, it's about using technology to show what's already happening and encourage more of it. What behaviours of yours would you like to "publish"? Lots of fun to be had with this one. Off home to relax now in preparation for another intense day of camping tomorrow. I plan to spend tomorrow morning interrogating each of the teams on their business models and 5-minute pitches, ready for the final show and tell in the afternoon. I wonder who'll win...? I'll add more links here as they come in, but see www.schoolofeverything.com/about/media for the best of the coverage. This cracking piece about innovation on BNET got Dugg recently and deserves a share. Whether it's replacing car keys with complex wireless authentication technologies, or grafting endless functionality onto otherwise perfectly usable software - innovation is becoming synonymous with new things you can do, rather than doing what you want more easily. It reminds me of something I used to ask a few years back: how come in science fiction, everything works perfectly? Hover cars don't break down, phasers don't need rebooting, spaceships don't get stuck. Technology is often presented to us as this unstoppable force that will make our lives so much easier. But for every finger-print ID door lock, there is a team of fingerprint ID door lock service engineers; for every automated grocery reordering system, there is a pile of misordered vegetables rotting in the distribution centre; for every matter transporter there will be a matter transportation workers union. The more technology we have, the more humans we need to make it work. This week I've got Social Innovation Camp, followed by Disruptive Social Innovators, and then an RSA "civic innovation" event, not to mention chats with about a hundred people with "social" and "innovation" in the job/business names. Meanwhile everyone from DIUS to Channel 4 is talking about supporting innovation and the Innovation Nation. We're in danger of overdosing, elevating the new above the useful and throwing away past successes. And more importantly, we risk elevating the technology, the "innovations", above the users themselves. A line in Clay Shirky's recent Q&A at the RSA comes to mind (slightly paraphrased): "It's not about novelty, but ubiquity. If you are looking for social scale change, it's adoption." Social progress is often about making more widespread use of what works already, not just putting new things in their place. Car keys work perfectly well, thanks: they're cheap and robust, they never need upgrading, and most importantly, everyone can use them.